This Bachelor of Science program allows to create your own major. There are a core of classes that you take from Communication Studies but you complement those with courses from two or more other departments. You can be as creative as you like to put together a powerful program to jumpstart your future. Flexible degree allows you to select courses from many departments to meet your career goal. One of few “interdepartmental” majors on campus. Can be combined with the sales certificate offered by the Department of Marketing. 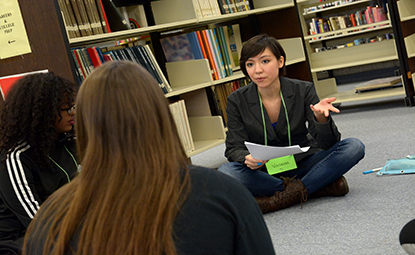 Ten scholarship funds focus on communication studies.